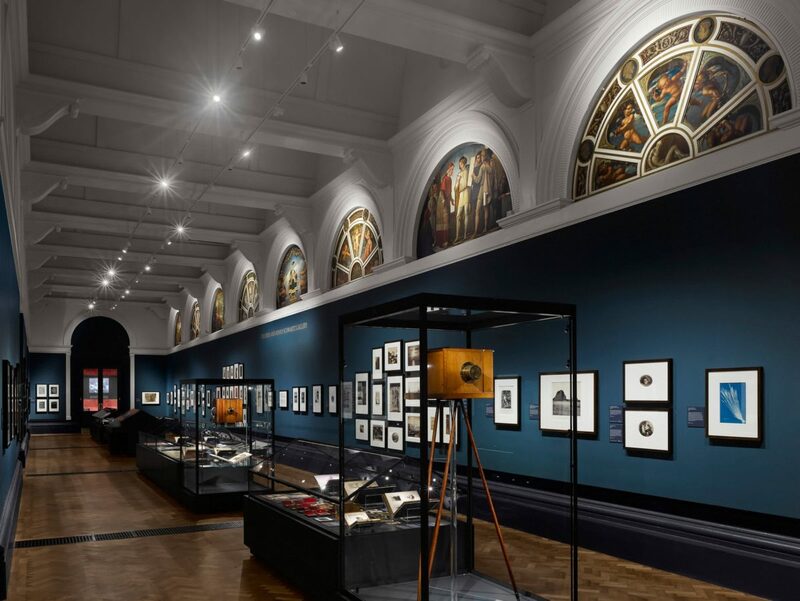 The newly opened Photography Centre forms part of the V&A’s ambitious FuturePlan development programme to revitalise the museum’s public spaces through contemporary design and the restoration of original features. London-based practice David Kohn Architects was appointed to design the new galleries in 2016 following an invited design competition. DKA’s design celebrates the grandeur of three galleries in a listed building, reconfiguring the space through a series of subtle interventions to create a contemporary display setting. 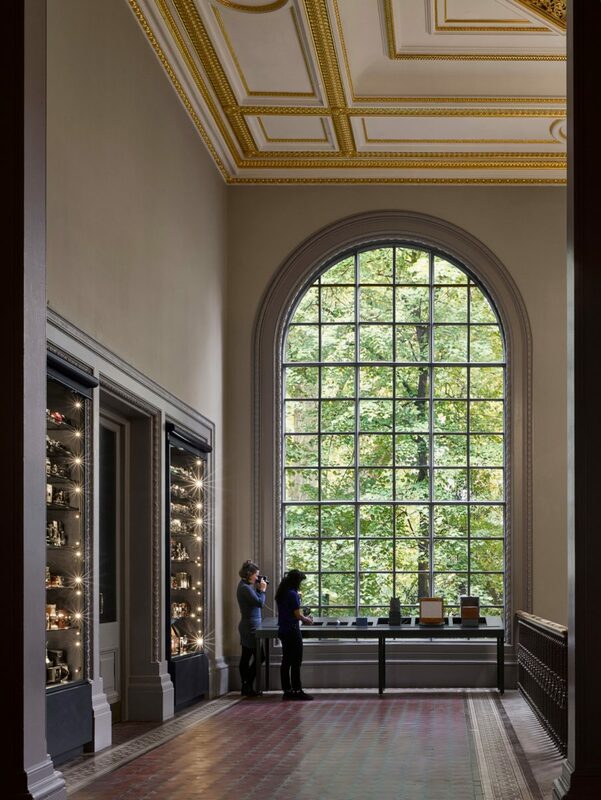 The visitor experience begins on the entrance landing, where two large cases display 140 cameras from the collection to introduce the story of photography from its origins to the present day. Inside, the room arrangement encourages visitors to circulate around displays presenting the full spectrum of objects, from negatives and photographs to cameras, archive materials and photographers’ personal belongings. 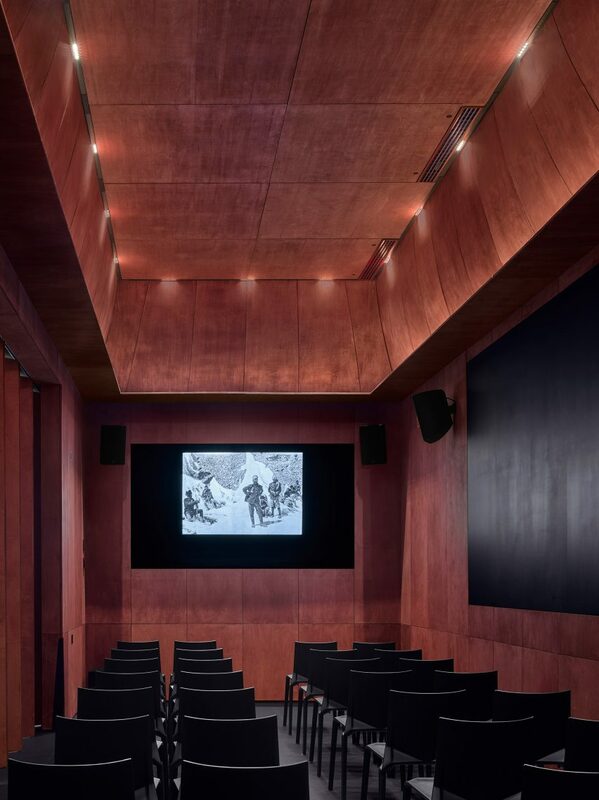 Historic connections between architecture and photography are referenced by the ‘dark tent’: a multimedia projection and lecture space inspired by the travelling darkrooms of photography pioneers of the 19th century. A series of bespoke modular display cabinets has been designed as a miniature house in its own right, and the cabinets together can be easily reconfigured to permit greater flexibility and varied displays. Matching wall cabinets and gallery seating ensure the coherence of the overall design. DKA’s scheme offers a clear departure from static exhibition display: a specially-designed handling table means visitors can encounter cameras up close, while other interactive elements include a bespoke case incorporating four stereoscopic viewers where visitors can experience this early form of photographic image. As well as displays exploring photography’s rich history, a digital wall showing the most cutting-edge photographic imagery invites speculation on the medium’s future. The opening of the V&A Photography Centre kick-starts a month-long Photography Spotlight across the V&A. Highlights include talks by leading photographers Mary McCartney, Rankin and Chris Levine; the premiere of the collaborative performance piece Last Evenings by artist Garry Fabian Miller and musician and composer Oliver Coates; a screening of Lisa Immordino Vreeland’s Love Cecil; and special performances, events, courses, workshops and a photography-themed Friday Late on 26 October.